This recent coin from the Royal Canadian Mint features a minute but detailed engraving of my illustration of a grizzly bear, photographed here in its protective case. You can see another, more detailed image of the coin at the Mint’s website here. 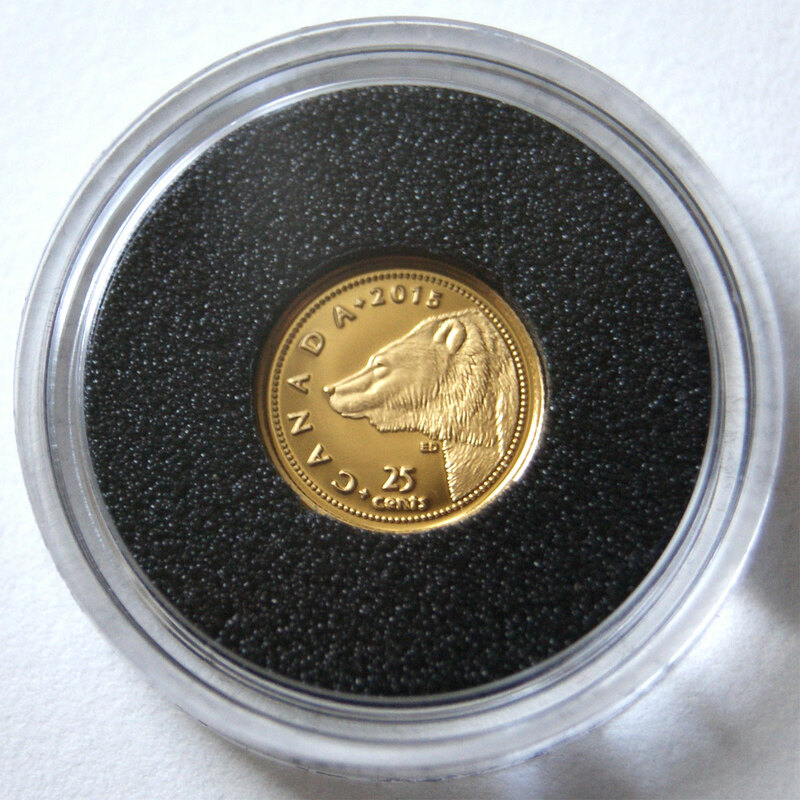 This is the fourth coin in the RCM’s 11-millimetre gold coin series. It’s tiny!! I designed two previous coins in this series; see here and here. Like the cougar and the bighorn sheep, this design is also minted on a larger platinum coin. I haven’t had a chance to photograph that, but one can see it at the Mint’s website here.